Occupied Palestine is the longest unresolved conflict of our time. After 64 years, Palestinians remain largely isolated on their own. Their suffering continues. Their rights don’t matter. Western nations scorn them. Rhetorical support only is provided. It’s insulting, demeaning and meaningless. Ending Operation Pillar of Cloud changed nothing. Israel will provoke confrontations any time it wishes. Pretexts will be invented. Hamas and other resistance groups will be blamed. The same disturbing scenario repeats. This time won’t be different. It never is. Gaza remains the world’s largest open-air prison. A UN report said the Strip will be “unlivable” by 2020. It already is and has been since Israel’s mid-2007 siege. Palestinians live under humanitarian crisis conditions most people can’t imagine. Israel persecutes them ruthlessly. Attacks will resume. Conflict cessation changed nothing. Living in a war zone assures it. It’s that and much more throughout Occupied Palestine. They lied like they always do. Arrests reflected state terror. They committed no crimes. Detention uncharged or longer-term imprisonment will follow. Abed al-Qaher Srour was arrested. He heads Hamas’ Aziz Dweik’s office. Dweik is former Palestinian parliamentary speaker. On August 6, 2006, he was arrested and imprisoned uncharged for belonging to Hamas. In mid-June 2009, he was released. He’s vulnerable to rearrest any time. So are many others. Over 40% of Palestinian males have been imprisoned at some time. Many face rearrest and detention. Virtually all incarcerated Palestinians are political prisoners. They’re guilty only of wanting to live free on their own land in their own country. Occupation harshness denies them. It’s been that way for over 45 years. During Operation Pillar of Cloud, nonviolent West Bank protests erupted. Israeli forces attacked them viciously. Arrests were made. Two protesters were killed in cold blood. Soldiers shot them at point blank range. They threatened no one. Dozens more protesters were injured. Israel uses rubber bullets, tear gas, stun grenades, other weapons, and at times live fire. Throughout the Territories, Israel wages war on freedom. Palestine reflects occupation hell. West Bank communities are terrorized. Pre-dawn raids target residents. They happen multiple times daily. Beatings and arrests follow. Families are traumatized. No one’s sure who’s next. Perhaps some sleep with eyes wide open. John Pilger calls Palestine the issue. Israel remains a longstanding problem. It’s a rogue terror state. Everyone not Jewish is considered inferior. Muslims are treated like subhumans. All rights are denied. Resistance is called terrorism. Freedom isn’t tolerated. It never was in Occupied Palestine and isn’t now. Israel’s gulag is filled with thousands of non-believers. 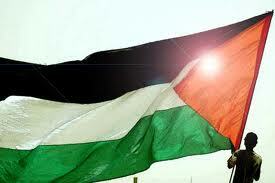 Their crime is wanting occupation harshness ended. It’s their long denied right. Life in Occupied Palestine is daily hell. Institutionalized repression terrorizes Palestinians. They live in constant fear. They’re economically strangled and collectively punished. Gaza remains under siege. Everything’s in short supply or not available. Essential goods and services are restricted or prohibited. Denied construction materials prevent vital rebuilding. Small amounts allowed international organizations require pre-approval. Getting it is burdensome and expensive. Farm products and other goods can’t reach West Bank or foreign markets. Except for tiny amounts, Israel prohibits exports. Rafah Crossing when open for goods is woefully inadequate. Gazans depend heavily on its tunnel economy. Nearly half the civilian goods available enter that way. They’re mostly construction materials. Israeli restrictions ban most goods. Some essentials are affected. Gaza’s siege is imposed punitively. It has nothing to do with security. Hamas demanded it be lifted. It settled for uncertain easing. Expect Israel to renege on minimal concessions made. It’s practically guaranteed. It happened many times before. Other than for “exceptional (mostly medical) humanitarian cases,” travel between Gaza and the West Bank is prohibited. It still is and much more. Besieged Gazans remain isolated. West Bank/East Jerusalem Palestinians are denied free movement. They’re impeded by enclosed population centers, closed borders, roadblocks, checkpoints, electric fences, other barricades, curfews, Separation Wall enclosure, and expanding settlements. Fundamental human and civil rights are denied throughout the Territories. Collective punishment is imposed. Israeli soldiers enforce occupation harshness. So do Fatah shock troops. Neighborhood incursions terrorize and harass. Normal life is denied. Land theft occurs regularly. Bulldozed homes, dispossessed owners, and village displacements reflect institutionalized ethnic cleansing. Palestinians are replaced by expanding settlements, closed military areas, no-go zones, nature reserves, commercial areas, tourist sites, by-pass roads, and other exclusionary restrictions. Well over half the West Bank is off-limits. Israel plans stealing all parts of Judea and Sumaria it wants, including Jerusalem as its exclusive capital. At most, Palestinians will be left with isolated cantons on worthless scrubland. Ceasefire terms will curtail for a time but won’t stop neighborhood incursions, land, sea and air attacks, institutionalized violence, slow-motion genocide, targeted killings, mass arrests, torture, gulag imprisonment, and denial of vitally all rights. Equity, justice, and fundamental fairness aren’t in Israel’s vocabulary. Expect crimes of war and against humanity to resume without redress. Wanting to live free in sovereign Palestine is called terrorism. Police state repression is policy. Intolerable conditions are imposed. How many independent post-conflict assessments are necessary to stop Israeli terrorism? When will Washington do the right thing? Obama expressed full support for Israel’s right to bomb, shell and murder with impunity. So did the entire Congress. Carte blanche slaughter and mass destruction with impunity passed unanimously. Not a single profile in courage supported right over wrong. Not Senators Bernie Sanders, Al Franken or Jim Webb who didn’t stand for reelection. No one expressed outrage over Israel’s planned assault. No one cared that relentless terror bombing and shelling killed or injured hundreds of innocent Palestinian men, women, children, infants and the elderly. No one expressed angst about lost lives. Wives lost husbands. Husbands lost wives. Parents lost children. They lost siblings. Friends lost neighbors. Communities were turned upside down. Some may never recover. Others will take years. No one asked why they were deliberately targeted. No one thought about whether gravely injured ones will survive. No one wondered how maimed for life victims will get by. No one condemned cold-blooded Israeli slaughter and mass destruction. No one asked how Palestinians survive under siege. No one cares if they live or die. Edward Said deplored “special status” rights afforded Jews “at the expense of the other.” He denounced “Sharonian evil.” He’d say the same thing about Netanyahu. They and others like them represent destructive wickedness. Crimes against humanity reflect official policy. Daily violence targets Palestinians for slow-motion annihilation. Every imaginable affront and assault on human dignity vilify Palestinians for their faith, ethnicity and presence. Their redoubtable spirit alone sustains them. Occupation obscenity continues. Congress sanctifies it. Generous support aids Israel’s killing machine. Where this ends, who knows.